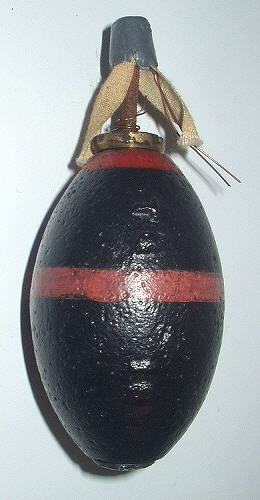 Defensive grenade which was officially adapted in 1917, but already introduced in 1915. 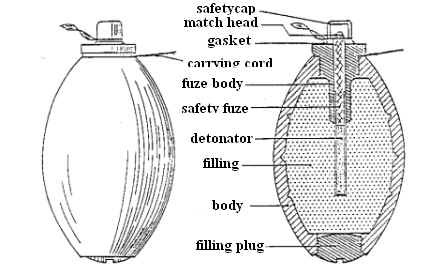 Matchhead fuze with a 4 seconds delay. 90mm high, 57mm wide. 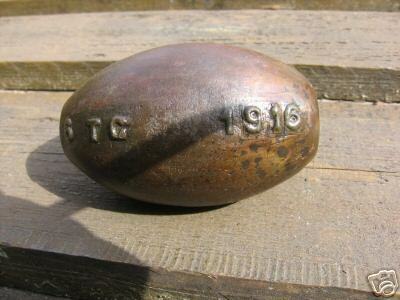 Weight 510gram including 113gram Ammonal.